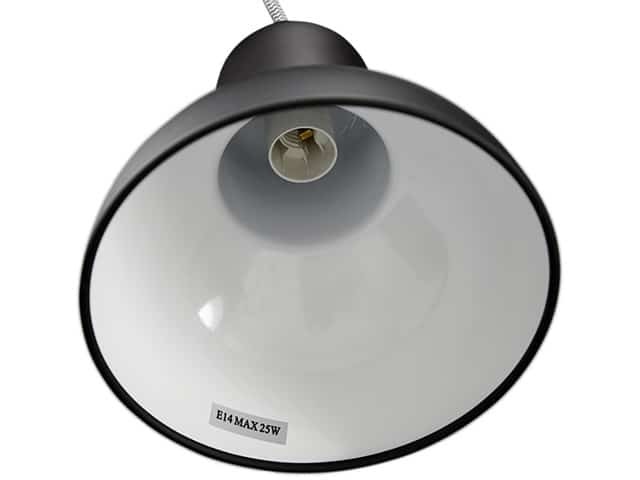 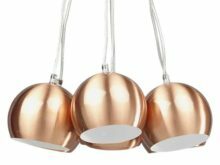 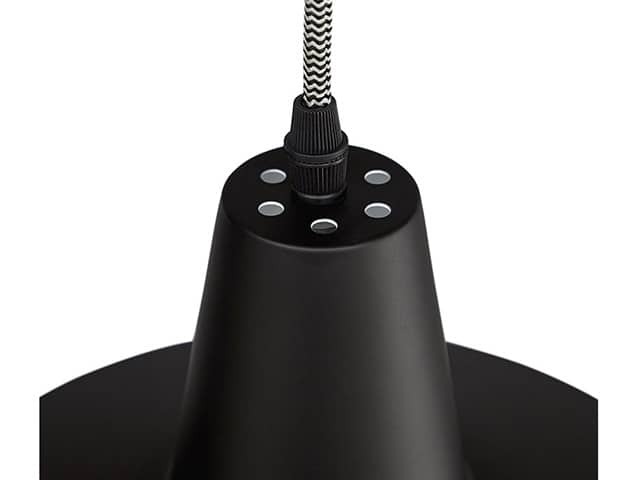 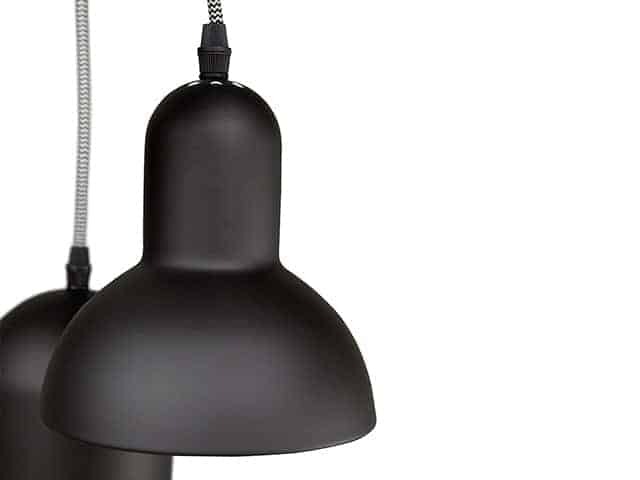 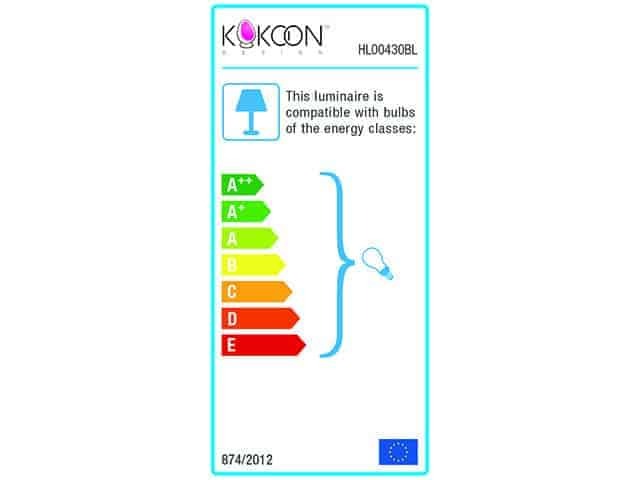 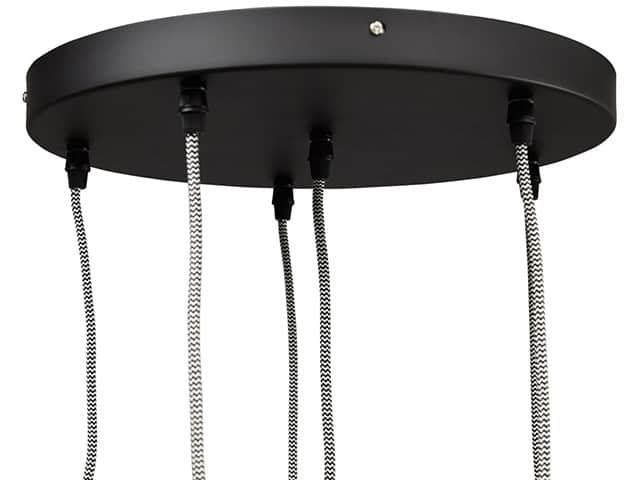 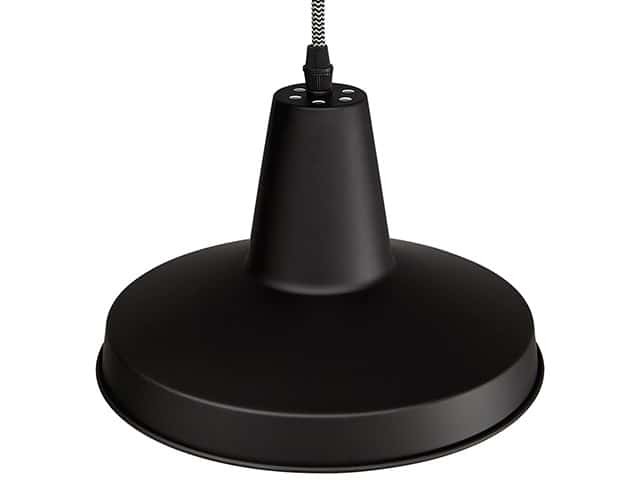 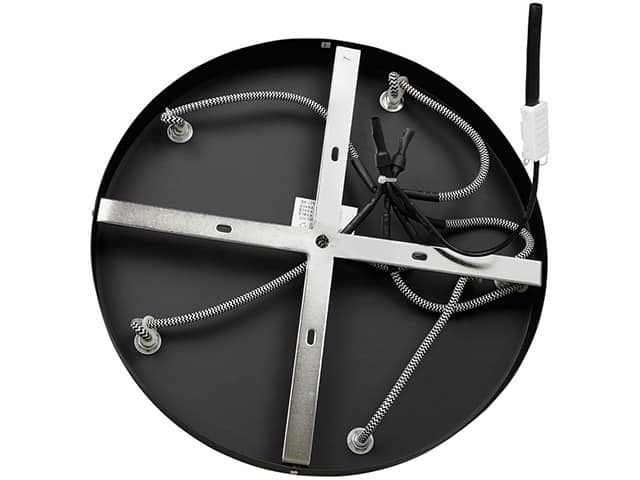 The Kokoon Pengan Multiple Hanging Ceiling Lamp is an eclectic mix of modern and retro influences. 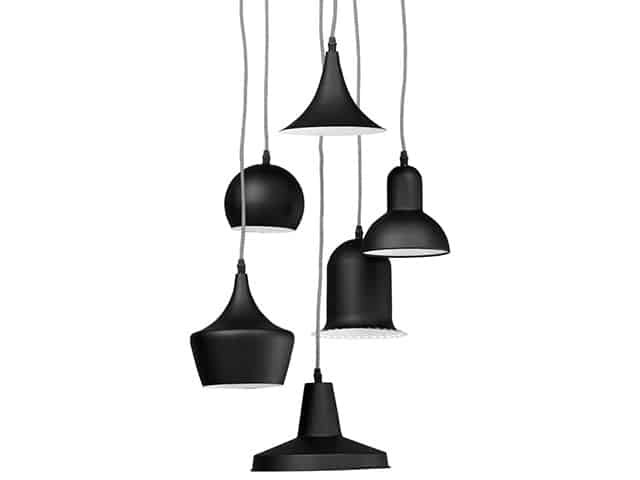 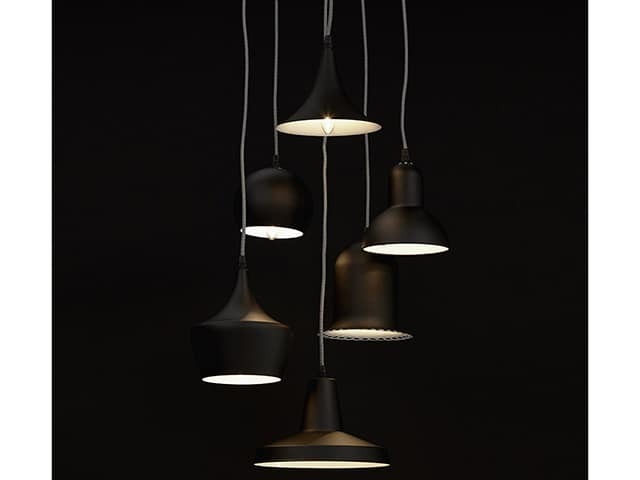 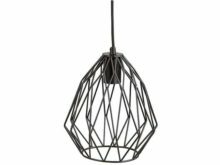 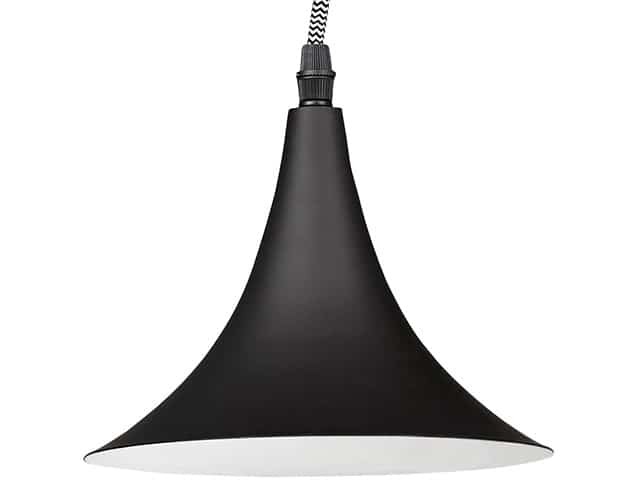 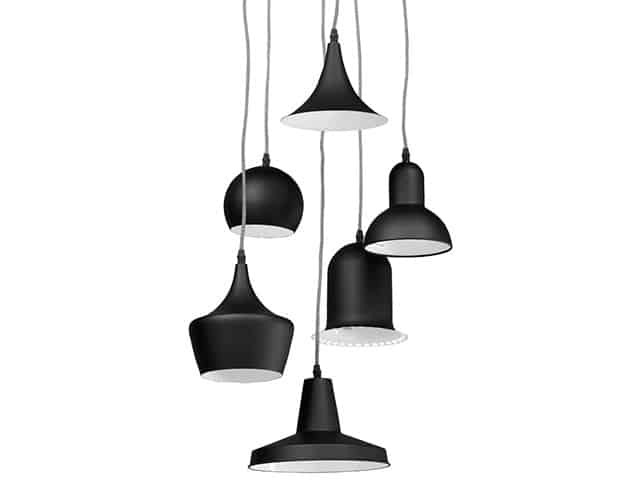 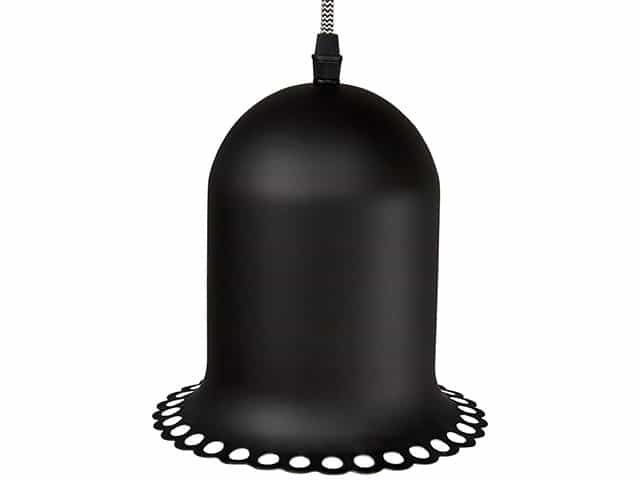 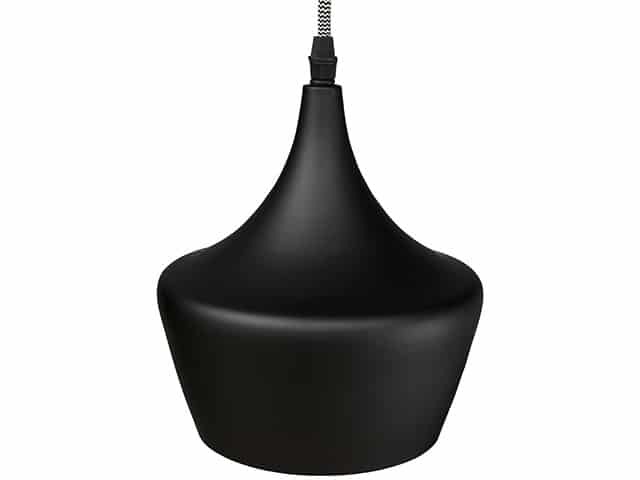 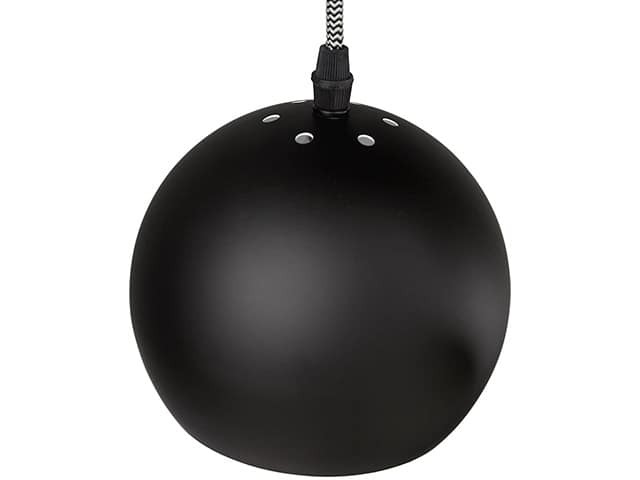 It features six lampshades of different shapes and sizes, painted in matt black, which bathe your interior in generous light. 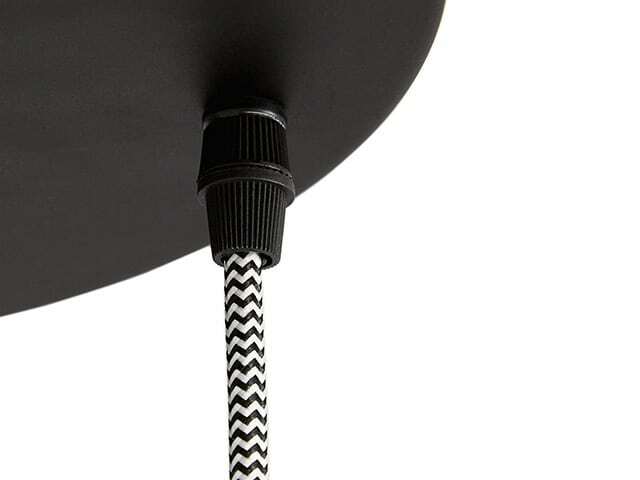 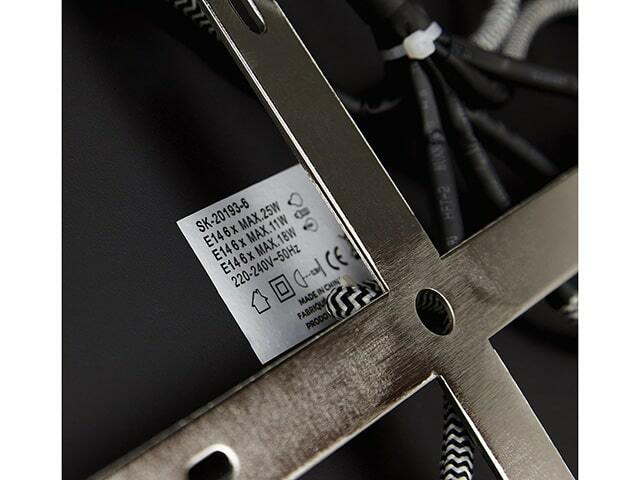 You can also customise this fabulous piece by simply adjusting the height of each fabric-covered cable.